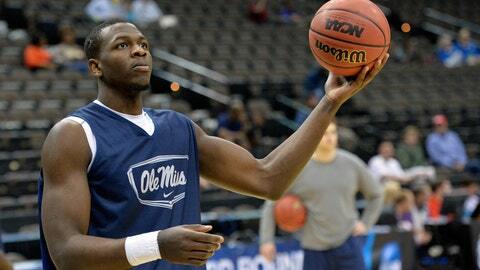 Dwight Coleby had already planned to sit out this season under NCAA transfer rules. LAWRENCE, Kan. — Kansas forward Dwight Coleby, a transfer from Ole Miss, tore the ACL in his left knee during a light team workout last week and will be unable to practice with the team this season. Coleby had already planned to sit out under NCAA transfer rules. Jayhawks coach Bill Self said Wednesday that Coleby will have surgery Oct. 11, and he should be ready by the start of next season. The Bahamas native will have two seasons of eligibility left. Coleby started four of 28 games as a freshman two years ago, and played in all 34 games last season. He averaged 5.4 points and 4.8 rebounds while helping Ole Miss go 21-13 and reach the second round of the NCAA Tournament.